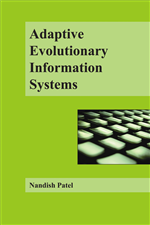 Changes in the use context of computer programs require flexibility and adaptability of the software itself. But, how do you design for change in rapidly changing environments? Based on a case study, the chapter argues that it is not enough to only relate to the use context. Taking also technical and developmental contexts and how they relate to the use context into consideration, allows for light-weight solutions for adaptable special purpose software. The conceptualisation of design as “artful integration” of different contexts provides a starting point for a systematic identification of relevant contexts and evaluation of design alternatives in relation to these contexts.